With a multitude of fundraisers spanning across Western Canada including our Random Act of Kindness day and our ‘Cars & Toys’ toy drive, to our main event, the Okanagan Dream Rally that saw countless children given the ride of a lifetime filled with unforgettable memories. With 2017 ahead of us, we wanted to say thank you. Thank you for being the cornerstone of what we strive this foundation to be. A community, and above all else, a Family. 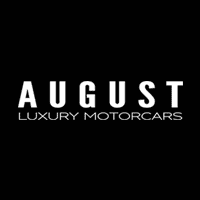 BONUS: Watch our August Motorcars – 2016 In Under A Minute video below!